Spanish-born director José Ramón Larraz (Symptoms) finally receives his due with this collection of his work, the first of its kind, bringing together a fascinating cross-section of films from the first half of his lengthy cinematic career. One of the most underrated and oft-neglected genre filmmakers of his generation, Spanish-born director José Ramón Larraz (Symptoms) finally receives his due with this collection of his work, the first of its kind, bringing together a fascinating cross-section of films from the first half of his lengthy cinematic career. In Larraz’s debut feature, the hitherto ultra-rare Whirlpool (1970), Vivian Neves stars as Tulia, a young model invited to a photographer’s secluded country home for what purports to be a quiet weekend retreat - but soon transpires to be anything but. 1974’s Vampyres - perhaps the best known and most widely-released of all José Larraz’s films - sees a duo of blood hungry female vampires prowling the British countryside, from where they lure unsuspecting male motorists back to their imposing, dilapidated mansion for draining... in more ways than one. Meanwhile, in 1978’s The Coming of Sin (La Visita del Vicio, in its native Spanish), a young gypsy girl experiences a violent sexual awakening as her dreams of a naked young man on horseback become reality. 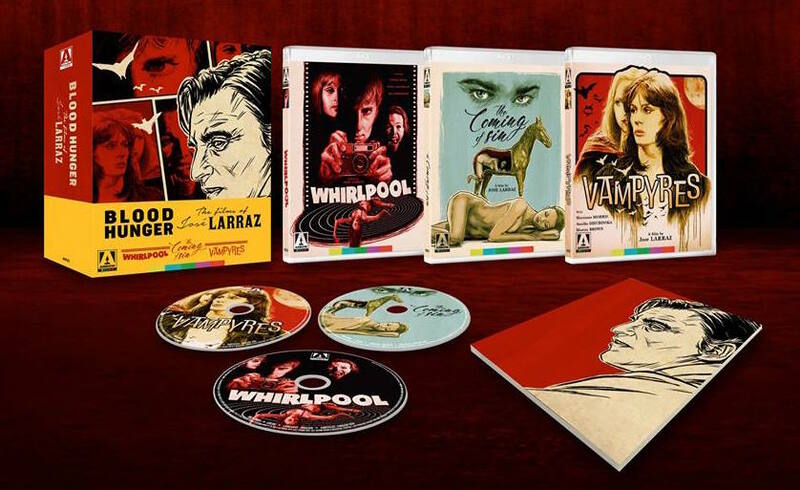 By turns terrifying, titillating, artful and scandalous, these three films collected here - all newly restored from original film elements, with Whirlpool and The Coming of Sin making their Blu-ray world premieres - collectively offer film fans a unique perspective on the fascinating, highly-varied career of one of the horror genre’s most overlooked auteurs. This page was last modified on 30 March 2019, at 17:26.